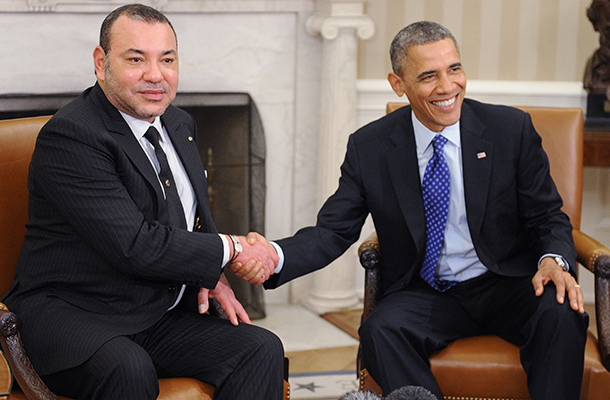 In the past few months, we have had several opportunities to mark the progress of Morocco’s bilateral relationship with the US and list positive outcomes in 2014, ranging from expanded security cooperation and several high level business conferences to highly visible and successful participation in the US-Africa Leaders Summit, and Vice President Joe Biden’s meeting with King Mohammed VI. While these are useful hallmarks for 2014, they are also benchmarks for viewing challenges and opportunities in the year ahead. This leads us to two key questions: What is Morocco’s agenda for 2015, and how will it impact the US-Morocco bilateral relationship? Over the next month, we will look at what’s ahead in three key areas: finding a realistic solution to the Western Sahara issue, regional security concerns, and the domestic agenda in Morocco. We will start off with a blog by Caitlin Dearing Scott that examines pressing regional security and stability concerns affecting North Africa. This will include analysis about combating violent extremism through internal and external efforts; counteracting the ISIS threat inherent in militants returning from war-torn areas in the Levant; and supporting stronger regional ties to resolve regional challenges. The growing cooperation with the US will also be examined. I will write a second blog focusing on Morocco’s a diverse domestic reform agenda, from legislation addressing key constitutional issues and continued efforts to expand its commercial and investment opportunities to promoting entrepreneurship and advancing its role as a business platform for Africa. Key US-related topics are: the agenda for the third Morocco-US Strategic Dialogue; assessing the future of the Morocco-US FTA after 10 years; and highlights of the process of drafting of the second MCC compact. Finally, Bob Holley will address the still unresolved conflict over the Western Sahara. Will this be the year that the UN sponsored negotiations focus on the only serious and realistic compromise on the table – Morocco’s autonomy initiative? What other factors in the region and on the ground will affect these talks? How the US can contribute to the resolution of the Western Sahara crisis will continue to be a key point of discussion. The overall agenda for Morocco and its relations with the US are quite complex, yet Morocco is prepared to undertake heightened cooperation and collaboration among government, the private sector, and civil society. This is approach that King Mohammed VI has taken across a range of issues, thus the seeds have been planted for potentially beneficial outcomes both domestically and regionally. As its agenda moves forward throughout the year, we will add other blogs to this series. This week will begin with a look at Morocco’s domestic, regional, and global security concerns in 2015. Stay tuned throughout January for our analysis and perspectives on the year ahead!